There is still a disturbance in the force. Over the weekend, Deadline reported Solo: A Star Wars Story is falling short of its $130 million projection, finally breaking the $100 million mark on the fourth day since its May 24 release. 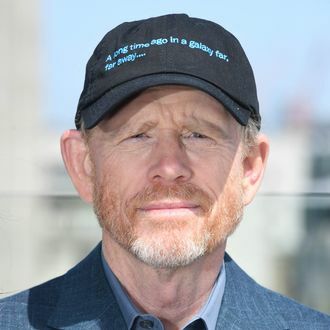 But that isn’t keeping Ron Howard down. In acknowledgment of the not-so-great box office, the Solo director found his silver lining. “Didn’t meet projections but amounts to a new personal best,” he wrote in response to a fan tweet. Now that’s exactly the level of optimism we’d expect from one of our beloved boyfriends.